Witchcraft is now proud to be able to offer a wide range of animal products, all of which are as ethically sourced as possible. As these are all organic pieces no two will ever be the same. Since stocking these products they have been very popular, and our turn over is high - so if you can't see what your looking for, feel free to email the shop for a current stock list! NB - the porcupine quills are from a South African source, and we cannot guarantee how they are collected. These "blades" are perfect for people who shun the use of metal tools in their practice. Made from bone, these expertly worked blades can be used for making athames or bolines. The sides are not sharp, but they are extremely pointed. The cat is sacred to the goddesses Freya and Bast. Now in short supply - we will let you know how long it will be - please be patient! Crows are associated with messages, divination, death and the otherworld. 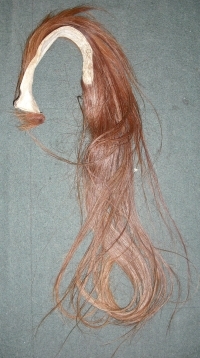 We have many different horse tails avaliable, please specify which colour you are interested in when ordering. A beautiful dark skull, this skull is a perfect representation of Anubis. sold - we will try to get you one - enquire! 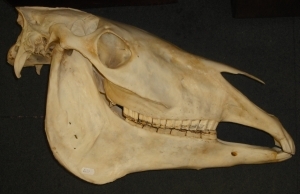 This is a beutiful skull, which belonged to a large adult horse. 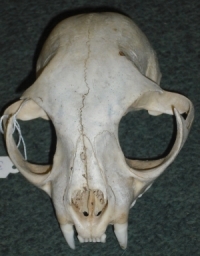 It is lower in price than the other large skull due to mild overbleaching, which has led to the bone turning very white. Perfect for worshipers of Hekate, or any animal to whom the horse is sacred. 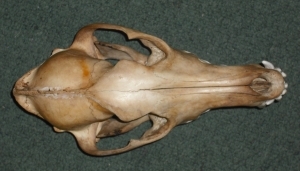 This skull is in perfect condition, the bone retaining much of its natural colour. Slightly larger than the bleached skull, this would make an imposing piece on an altar or in a shine. 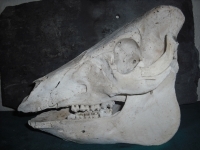 Pigs are sacred to Cerridwen - the skull pictured is an example - you will receive our best available! Please allow 21-28 day for delivery in the UK. Porcupine spines can be used as protection talismans or can be turned into quills, in the same way as feathers. 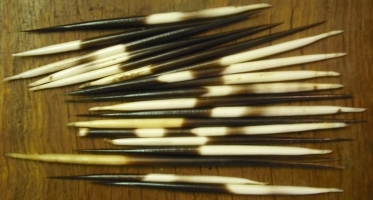 These are large quills - larger than you may have had previously - the type used in acupuncture in the Far East - our batch price varies - so keep looking! Short quills for spell or mojo work - sold in batches of 5 quills to minimise postage costs! 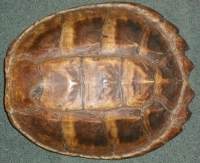 An unusual shell, roughly 35cm tall.